Are you a Realtor wanting to stand out from all the boilerplate websites out there? 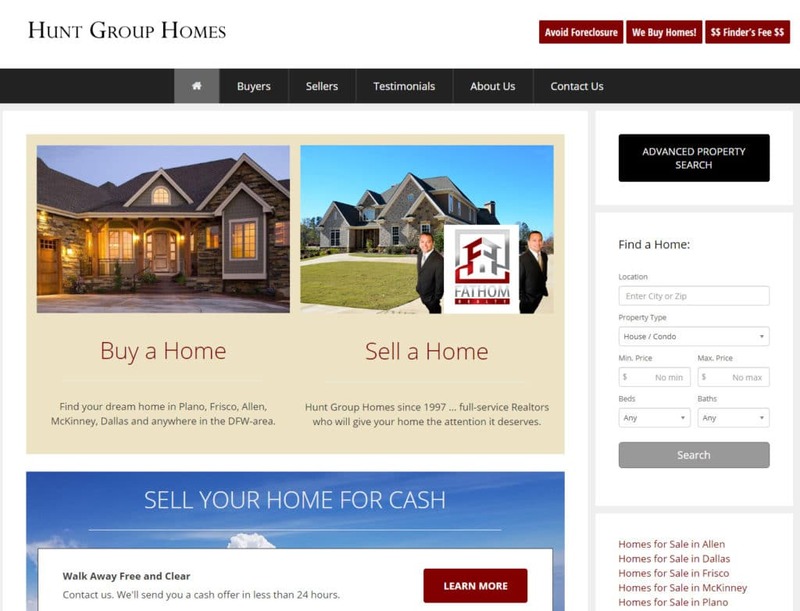 We can develop a website that will reflect your personal brand while interfacing with the MLS. In addition to providing a search tool for the entire area MLS, display your own listings, your brokerage’s listings, specific listings, and much more. But lots of real estate websites can do that, right? As a real estate agent, your most important asset is you. Your site should showcase your knowledge and experience. Post brief articles regularly that share valuable insights and photos with your readers. It’s a blog, an online newsletter — call it whatever you want but the search engines call it “unique, quality content.” And helps you get to the front page of the search engines without games or gimmicks. Your potential clients learn a bit about you and your expertise, and the search engines reward you for a little bit of work. You may find that we can give you more differentiation and flexibility. 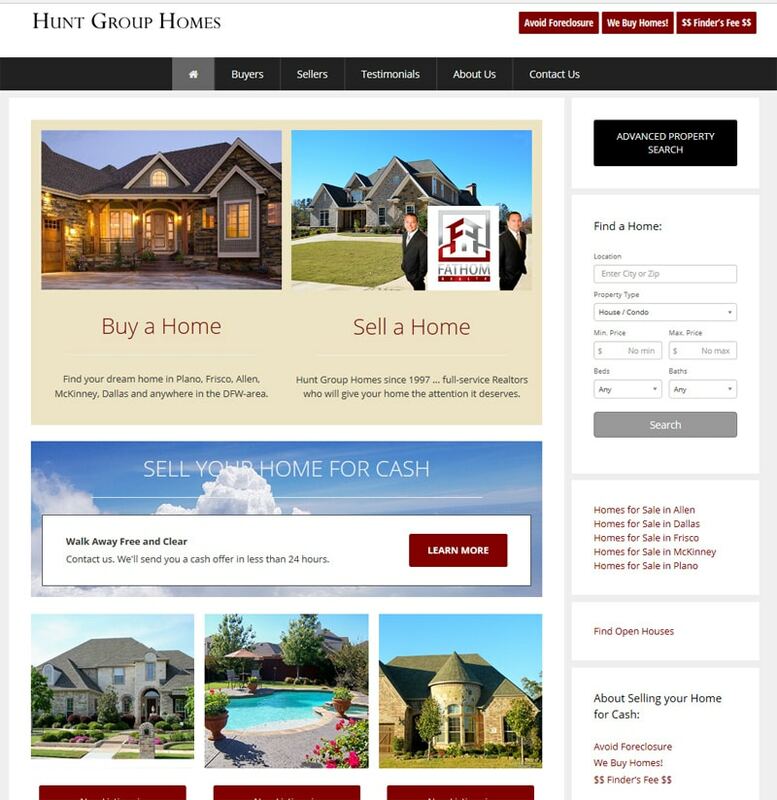 In this case, our client, Realtors in Plano, Texas, needed a website that could describe their wholesale and investor division as well as their MLS services. Since we also do printed marketing materials, we can tie in your online presence with unique business cards, Every Door Direct Mail postcards, brochures and much more. Contact us – we would love to help you reach potential real estate buyers and sellers in your market.